The word 'Shahi' is immediately associated with rich, fat-laden and royal Subzis. 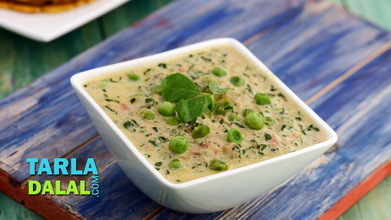 Here is a healthier version of the same, made with well-chosen ingredients and slight modifications to the cooking style. You will be surprised to note it retains the royal flavour! 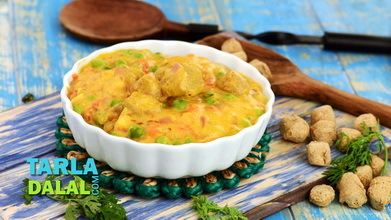 To maintain the richness and the taste of this Shahi subzi I have used low-fat milk and 1 tablespoon of cashewnut paste. 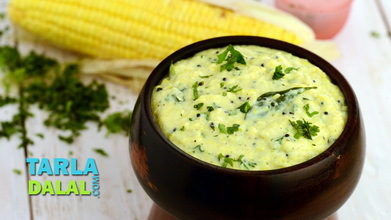 Heat a non-stick kadhai on a high flame and when hot, add the onion paste and cook on a slow flame for 3 to 4 minutes or till the onions light brown in colour, while stirring continuously. 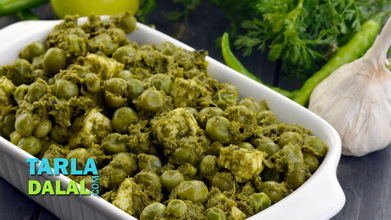 Add the cashewnut paste, garlic paste and dried fenugreek leaves, mix well and cook on a medium flame for 1 more minute. Sprinkle 1 tbsp of water to avoid the onions from burning. 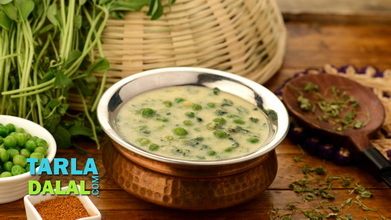 Add the low-fat milk, ½ cup of water, green chilli paste, garam masala and salt, mix well and cook on a medium flame for 1 to 2 minutes, while stirring occasionally. 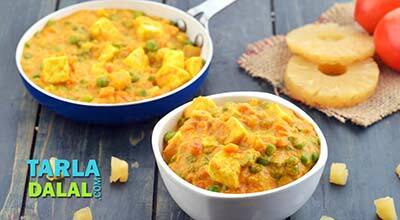 Add the paneer and green peas, mix gently and cook on a medium flame for 1 to 2 minutes. 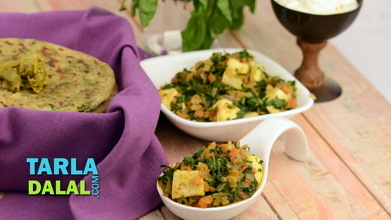 Garnish with coriander and serve hot with whole wheat parathas. 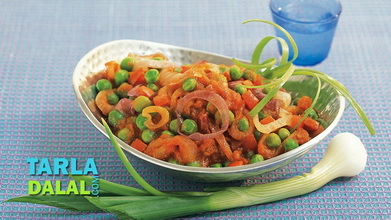 1½ cups of roughly chopped onions when blended in a mixer (using very little water) gives ¾ cup of onion paste.